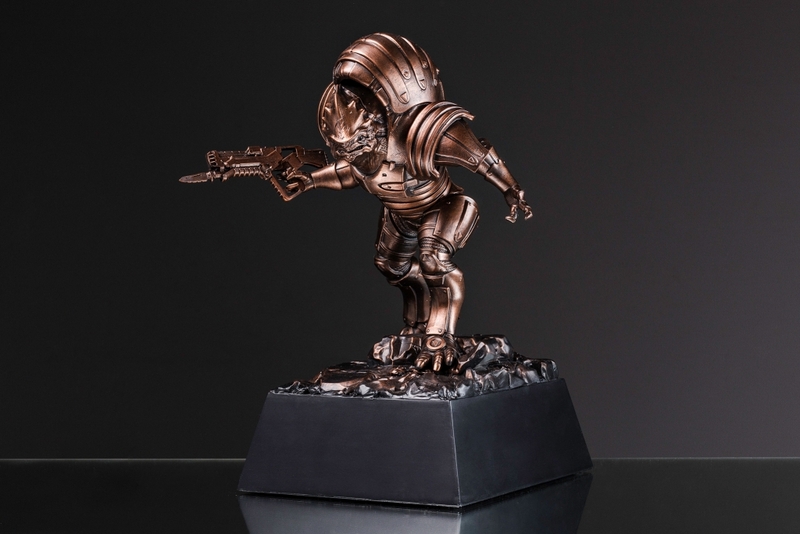 A week or two ago bioware showed the service awards for their employees and the 10 year award statue is Wrex. I don't know how to post pictures and I'm not sure if I'm allowed to post links to exterior websites but based on the sneak peek photos in this thread the arm and leg portion we have seen loom nearly identical. Though if they do announce that Fem Shep well I will be all in. A person can live on water for how long? I see this kind of statement a lot, and in my experience, changes to a product once it has been fully revealed is extremely rare! I think it's safe to say, if these statues come out, WYSIWYG! I'd pass on Wrex, and a Femshep purchase would depend on how she comes out post production....given how Tali came out. Must see the painted final model..
Gaming Heads Collective FB group just showed the Wrex base. 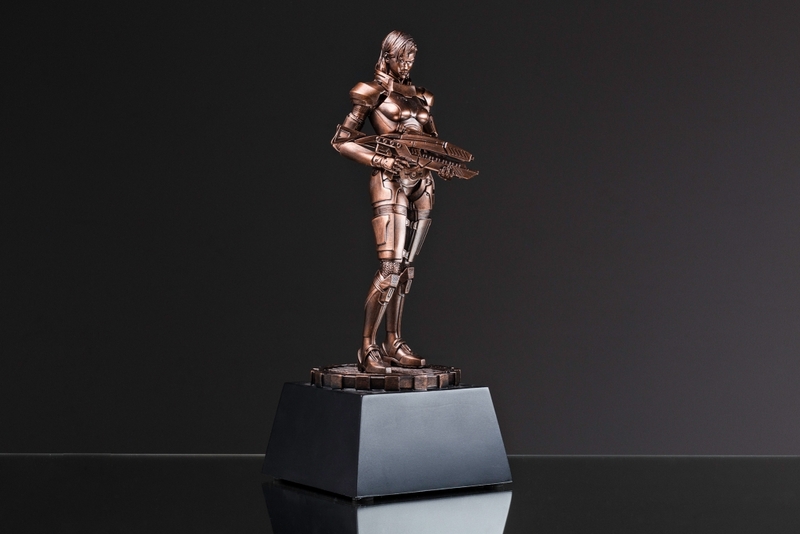 It's the same as the Bioware service award. I'm guessing that we're getting the same sculpt in a painted format. Just a heads up. 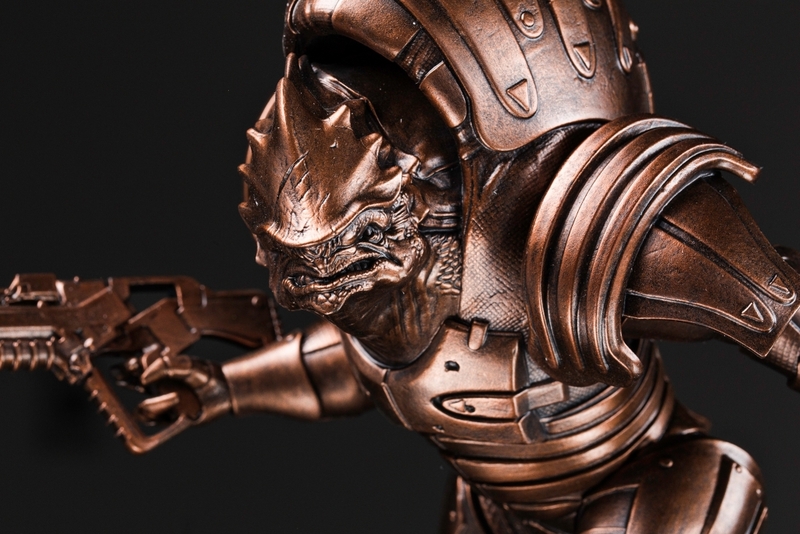 Wrex is now up for pre-order. 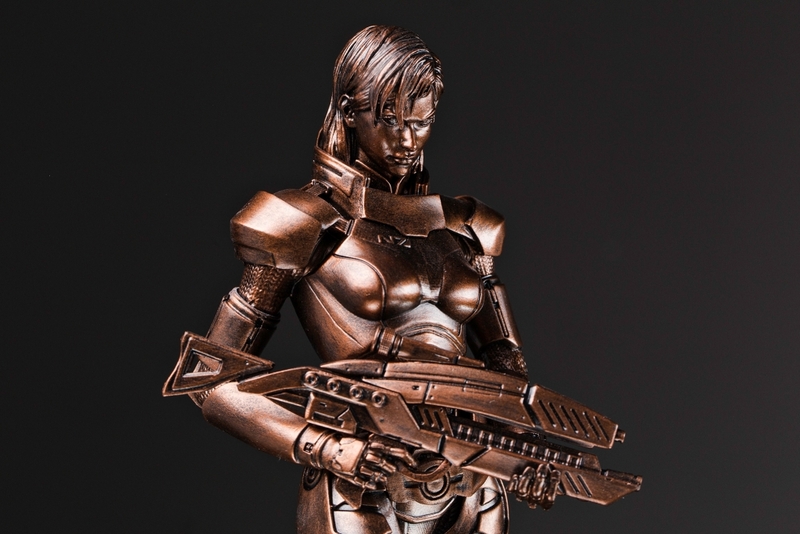 It definitely was the Bioware Service Award sculpt. He's ginormous btw. Apparently, they worked with the Studio (assuming they mean Bioware) to get the scale to how it is supposed to be as opposed to "in game" (which makes sense considering everyone is close to the same size in game).